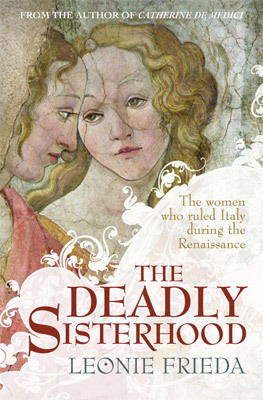 The women who wielded the real power behind the throne in Renaissance Italy. The book is one of drama on a grand scale, a Renaissance epic, as Christendom emerged from the shadows of the calamitous 14th century. The sweeping tale involves inspired and corrupt monarchs, the finest thinkers, the most brilliant artists and the greatest beauties in Christendom.